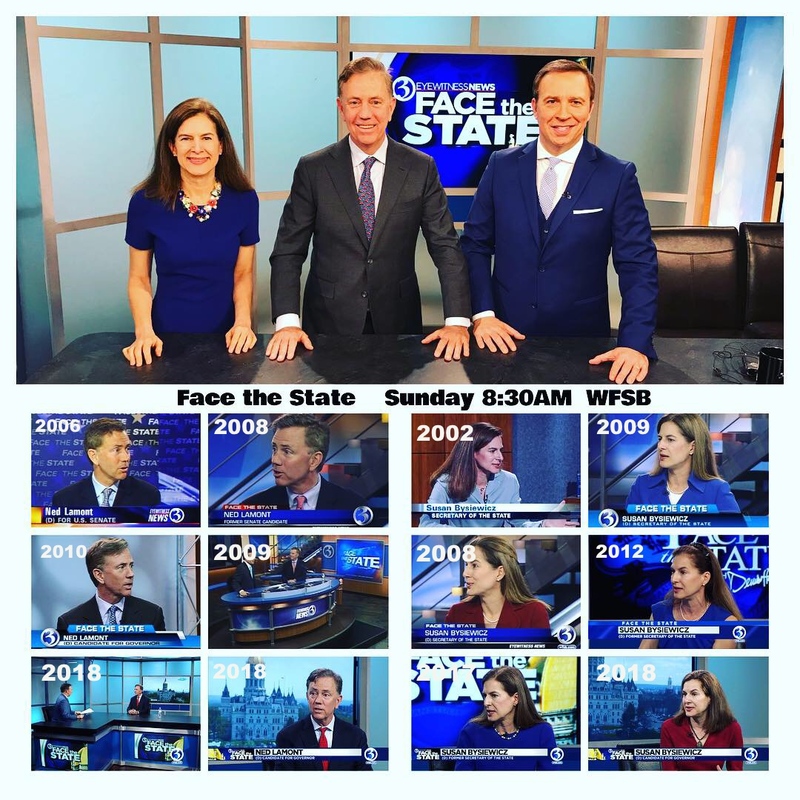 Face the State begins its 49th year with an exclusive with Governor-elect Ned Lamont and Lt. Governor-elect Susan Bysiewicz, just days before they are sworn in. We talk about what they’re feeling as they prepare to take on transforming the land of steady habits and about the changes they want to make to the way Connecticut runs. I’ve interviewed both on Face the State many times over the years, after triumphs and defeats. How did their victory in November impact them after electoral setbacks? I enjoy chatting with Face the State guests before the taping begins, and in Mr. Lamont’s case he always compliments me on the way I dress, and the fact that I seem to wear a lot of blue. This past summer, the then candidate for governor wanted to try on my suit jacket and the picture got a bit of attention on social media. We did a jacket swap on Friday and learned we both are pretty much the same size. For the record, I think Ned Lamont, like his predecessor Dan Malloy, has impeccable fashion sense, too. Tune in Sunday morning at 8:30 for our first Face the State of 2019, with Ned Lamont and Susan Bysiewicz. I also want to take a moment to express deep appreciation for all the guests who came on Face the State in 2018, and say that I’m extremely grateful to all of you, the viewers, who made 2018 the most watched year for Face the State in its history. Thank you. Recognize anyone in this picture?